%253Ca%2520href%253D%2522http%253A%252F%252Fwww.imortuary.com%252Ffuneral-homes%252Fcalifornia%252Ffowler.php%2522%2520style%253D%2522cursor%253Adefault%253B%2522%253E%253Cimg%2520src%253D%2522http%253A%252F%252Fwww.imortuary.com%252Fimages%252Fseal-logo.gif%2522%2520alt%253D%2522Fowler%2520funeral%2520homes%2522%2520border%253D%25220%2522%2520%252F%253E%253C%252Fa%253E Cremation Services | Shant Bhavan Funeral Home |Fresno CA, Fowler CA, Selma, CA, Kingsburg, CA, Sanger, CA funeral home and cremation Serving Fresno County, Tulare County, and Kings County. Cremations are becoming an increasingly popular choice. Cremation is a personal preference for many different reasons, including: environmental concerns, religious reason, and simplicity. 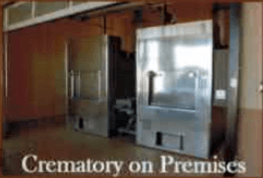 All cremations are performed individually. It is possible to witness the cremation and in some cultures the ritual involves having a family member start the process. We are a full service funeral home that does provide cremation and burial service for all faiths and cultures.